The Great Big One Direction Giveaway! 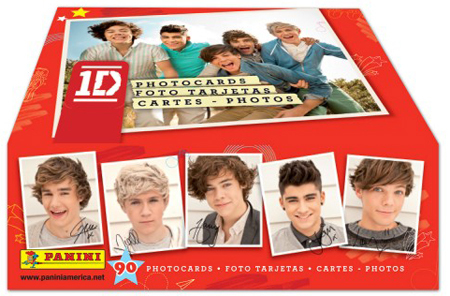 Panini are proud to announce the launch of their new One Direction Photocard Collection! Packed full of imagery of all the One Direction band members; Harry, Niall, Zayn, Louis and Liam, there are 90 photocards to collect. 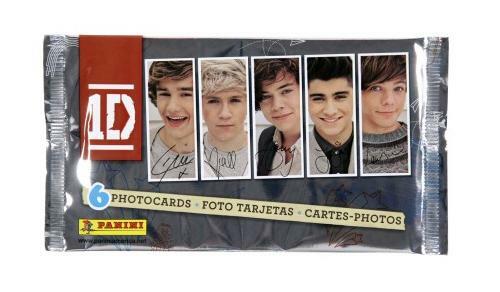 Collectors can keep their One Direction Photocards in an awesome collector’s binder, which comes as part of a starter pack including 12 Photocards! We've teamed up with Panini to give you guys a chance to get in on the action! We've got 10 card packs and 3 full collections to give away! To be in with a chance of winning one of these amazing prizes all you need to do is two things! You must follow @OfficialPanini and @FanClubDotCom on twitter! We'll pick the 13 winners at random and you guys will get these awesome prizes! And thats not all! We have another great competition from Panini heading your way in the new year! So stay tuned! Competition closes Christmas Eve (Dec 24th 2012) and is open to all UK Fans!